Auto Layout is very powerful tool to control every view layouts in iOS. In case it is not used directly, the OS will auto transforms the view’s properties like the frame into constraints before laying out the views. The obvious battery issue with an iPhone is we want it to last as long as we require it. Now with every passing year, although they are shipped embedded with high-end processors, better display with higher resolution but the progress in terms of battery technology is not at par. 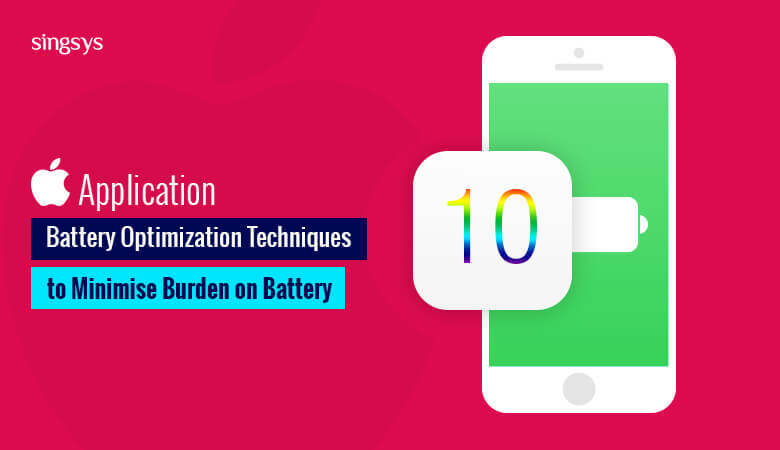 Before getting any deeper let me tell you that there are two factors that need to be taken care of parallel or optimized together for experiencing the best phase of your iPhone battery life or any other apple device. Swift is a new programming language that is purely compatible with objective C. This makes it possible to use objective C file code in Swift file. Apple claims the co-existence of Swift and Objective C in an application but, this does not relate to re-using old classes made in Objective-C whilst building new classes in Swift. The reason being as Objective-C is a platform-independent language unlike Swift is platform-dependent. Now, implementing non-platform-dependent code in Swift won’t be fruitful. henceforth, writing platform dependent code in Swift would be absolutely fine.